It's crazy the 4th of July is just around the corner and then not soon after that it's finally CIAO New York and off to Italy! This Summer in New York has been pretty up and down with the weather. Today is super cool ( which I prefer) and last week it was high 90's with the humidity even making my pin straight hair slightly frizzy! I have only just started to browse the Shopbop sale but quite a few things have caught my eye. These mules by Vince are definitely going in my cart. They are just another perfect summer slide that goes with everything in my closet and unlike my beloved Sam Edelman's these babies have a slight block heel! Also loving this Alice McCall romper and this floral blouse with these white jeans. Straw totes are everywhere this season and this Nannacay one is perfect for on and off the beach! 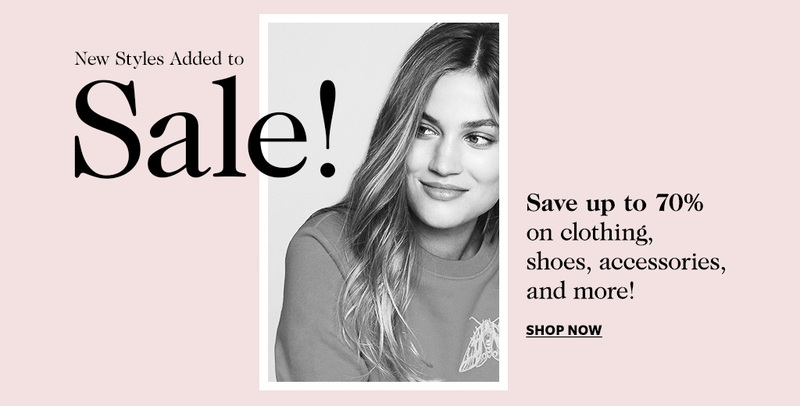 Shop more sale items below!